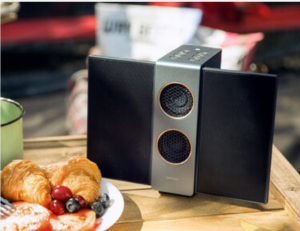 The BenQ treVolo S is a new electrostatic bluetooth speaker that will blow you away! 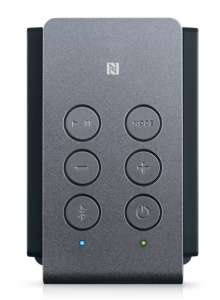 If you picture “Bluetooth speaker” in your brain, you are almost certain to conjure up a very plain black or very very dark gray brick, with a perforated front and near-invisible control buttons. There are dozens, if not hundreds, of these clone-like bricks in the market. Heck, I have at least three of them in the house as I type this. But, I’ve been given the opportunity to try out a speaker from BenQ; the treVolo S.
If you’re familiar with BenQ, you know their wheelhouse is high-quality projectors and displays. 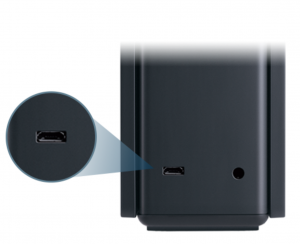 Seems that BenQ wanted to put their unique spin on a speaker….and boy did they ever! The treVolo S is a very high-quality electrostatic speaker… easily the most unique in the market- and honestly, the most popular speaker in our house. It’s not cheap, but as you’ll find, every part of this speaker sings quality. It currently retails for $199 (link to the Amazon listing here). Starting with looks, the treVolo S is unlike any speaker before it. The highs and mid-range are provided by impossibly-looking thin “wings”, which fold out from the main body for listening. These super-thin speakers are not built like traditional cone speakers but are in fact, electrostatic speakers. Electrostatic technology makes this speaker unique. OK, so what on earth is an electrostatic speaker??? This was my question exactly, and if you have even a little bit of nerd blood in you, it’s actually pretty cool science. Instead of the traditional magnet-driven vibrating cone, electrostatic speakers are comprised of a very thin membrane sandwiched between two plates. 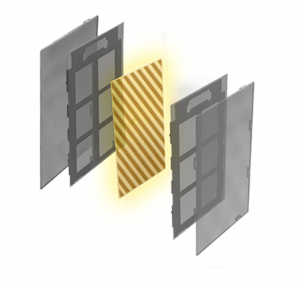 For audio, electrical current is passed through this membrane, causing the vibrations. The woofer section in the main center body is comprised of two 12W woofers (each driven by a dedicated amplifier). The front woofer grilles stand out with bold large-perf faces rimmed with a very handsome copper trim. On the sides the body has more integral perforations for passive bass sound. Controls are (thankfully) large circular buttons with the familiar icons. There is one extra button on top, titled MODE. This button is to enable what BenQ calls “3D Audio”, cranking up the spacial aura of the sound. BenQ’s goal here is to make the audio more multi-directional, and for the most part it works; more on this farther below. The backside has a microUSB charging port and 3.5mm headphone jack. Controls are simple and easy to figure out. The wife and kiddos just love the looks of the speaker. The kiddos argue who gets to use it, mostly because of the novel aesthetic. My wife (Hi Lisa!) thinks it’s the most handsome speaker available, and requests it front-and-center in our kitchen/entertaining area (a statement that’s never been previously made in this house). It’s replaced the aging Big Jambox as the ‘main’ house speaker. I can’t argue that point, either; it’s a conversation-starter but not in a weird “what is that? !” way. As I stated before, the Trevolo S is uber-popular at our house, and in my opinion is simply the best Bluetooth speaker experience I’ve ever had. It’s mainly a story of quality over quantity here. While most other speakers are carrying on about their volume and super-duper bass output, the Trevolo S focuses on audio quality. 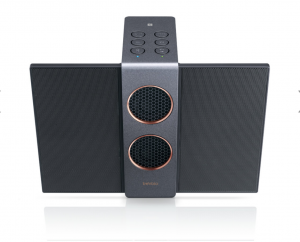 The electrostatic speakers make much less distortion than traditional speakers. So much so I’ve kinda fallen for the audio delivered by this speaker. It’s a bit hard to explain, but while most speakers have a boom-y sound effect, the sound profile of the Trevolo S is just so much much more clear. Actually, clear doesn’t cut it- transparent is more like it. There is almost zero hum, buzz, for fuzz coming through — just extremely clean, pure music. Playing tunes while working around the house, I physically stopped to listen closer more than once. Familiar songs came through on another level, almost like when you hear a band live for the first time. I know I’m gushing a bit, but let me be clear here that these are uncompensated words of mine, here. The treVolo S is my favorite Bluetooth speaker; one truly deserving of its elevated price point. Now, every speaker is a compromise. And the treVolo S doesn’t escape this truism. While a lot of music types truly shine on this speaker, more bass-heavy genres (hard rock, metal, hip-hop) will suffer a bit here. There just isn’t enough output to match the loud hard-hitting music. As for volume, two 12W woofers it has, but when you crank it up, the audio quantity starts to flatten out pretty fast. This speaker is best used for normal-level listening habits. treVolo S: Not exactly a party animal. 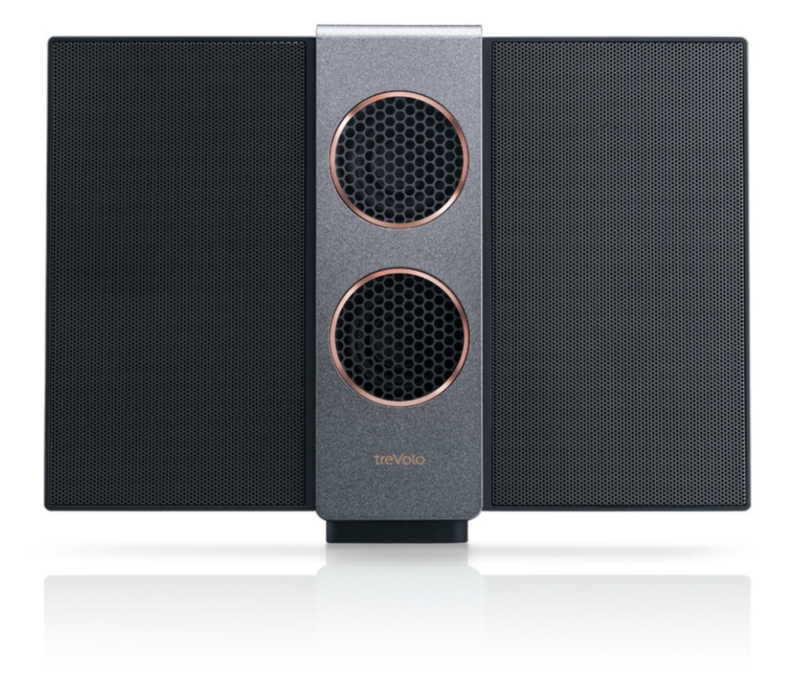 Physically, while certainly pretty, The treVolo S is not best used as a portable sound unit. The fold-able electrostatic wings infer portability, but they are not robust enough to be used for this purpose (my opinion here). Also, the tall, skinny profile of this speaker makes for a top-heavy thing….so much so that I keep it up high in the house for fear of tipping incidents. It certainly doesn’t seem like it would take a whole lot to topple it. While it offers multi-speaker stereo mode (dedicated left & right channel function) and party mode (multi-speaker broadcasting), and while these are great features, most of us just aren’t going to be shelling out for multiple units of this speaker, so it’s fairly moot. I can’t recommend it as a portable/traveling companion, but this is perfectly okay as I don’t think BenQ is fooling anyone here. This speaker belongs front-and-center on your shelf, table, or bedroom dresser. Other than that, and the higher-than-normal price for a Bluetooth speaker, I have nothing but positive things to say about the BenQ treVolo S. Between its beautiful looks, solid construction, ease of use, and top-notch audio experience, it will appeal to most if not all of your household for daily use.